Ozeri has such cool products! Did I already say that in a previous post? Well, if I did---it's because it's true, okay? 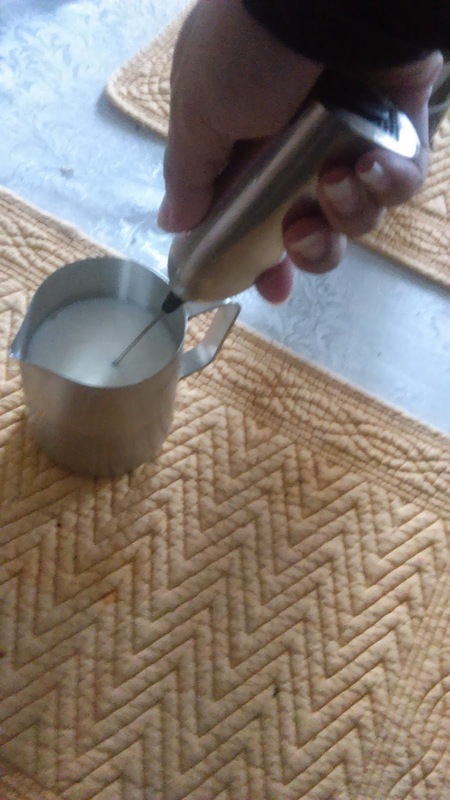 I recently started using their Milk Frother and Pitcher. Check it out below. 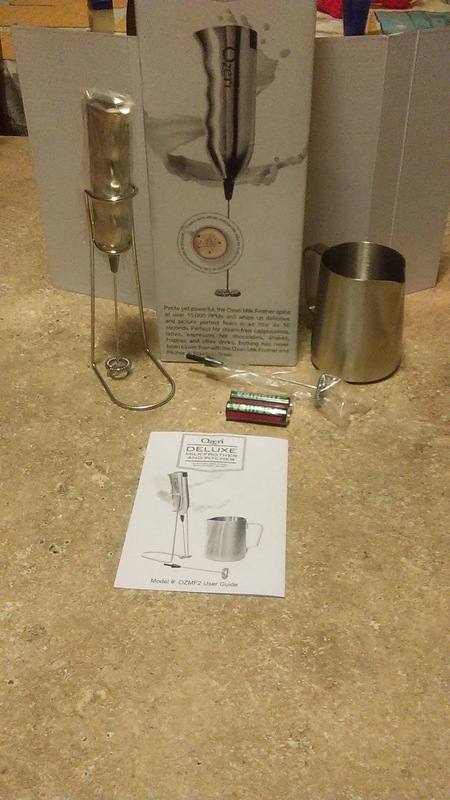 This is everything that comes inside of the box- stainless steel frother, two frothing wands, frother stand, batteries, instruction manual, and a cute little pitcher. 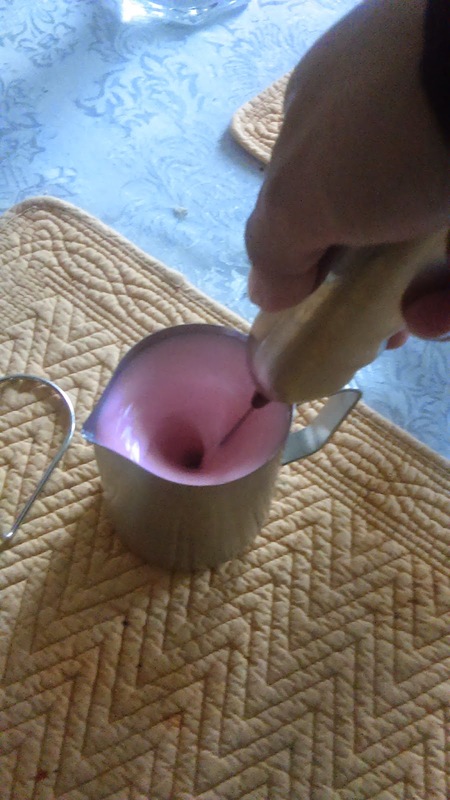 I stood the frother in the stand and poured some milk into the little pitcher for my son. 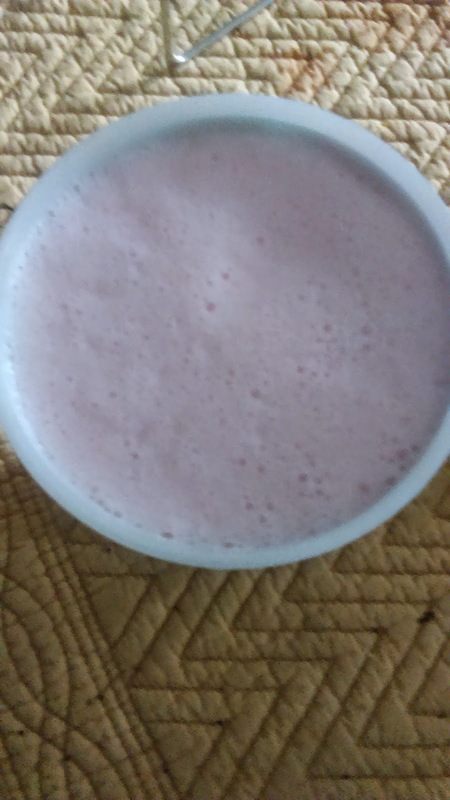 He's obsessed with strawberry milk and constantly asks for it to be "super bubbly". Frothers are wonderful for that. 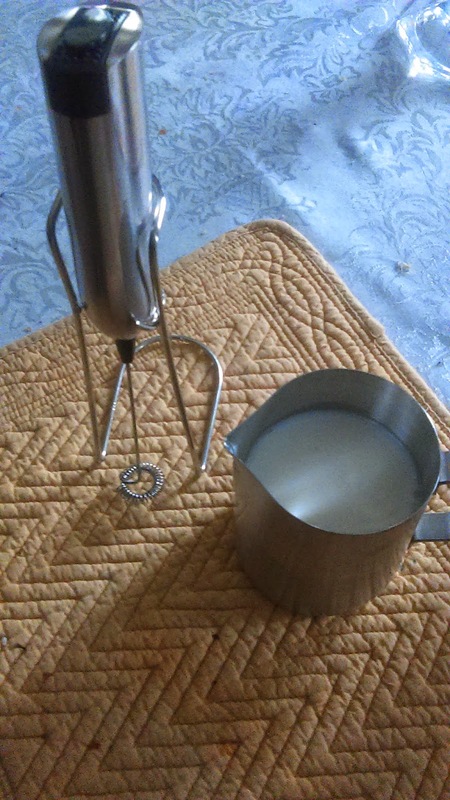 I like how the frother can stand freely in the little metal stand. Now I can keep it on the kitchen counter instead of stashed away in a drawer. 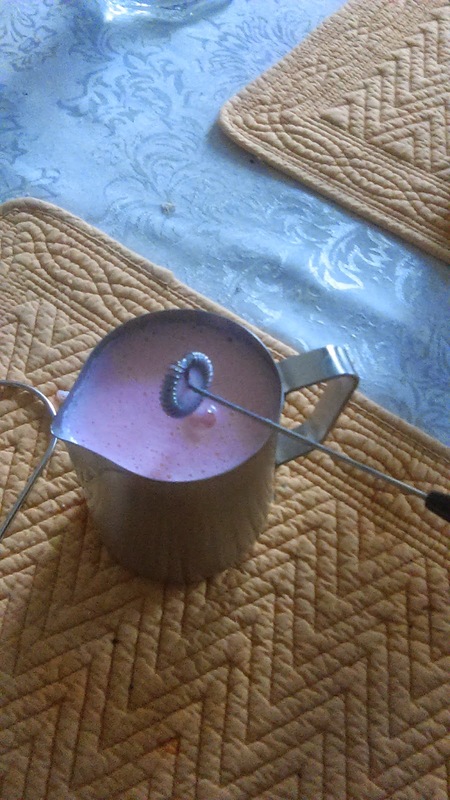 Simply stick the frother in the milk or whatever liquid you are trying to make into a frothy delight and push the button on top. ALWAYS make sure not to hold it too low--you don't want it scraping along the bottom of the pitcher or glass. You might damage the wand that way. Also, don't hold it too high, or you will get your drink everywhere. This is a powerful little wand! It's not too loud, which is nice. I can do this is a matter of seconds and my son loves watching every time. You can slowly move the frother around inside the pitcher or glass to get the most bubbles. Done. Make sure to turn off the frother BEFORE removing from your drink. Look at how frothy it is! My little boy said, "Yay!" I'll bet this would help make some really great frothy milkshakes, cappuccinos, lattes, hot cocoa, and so on. It's not hard to clean either. You can remove the frothing wisk/wand and place both that and the pitcher in the dishwasher too. 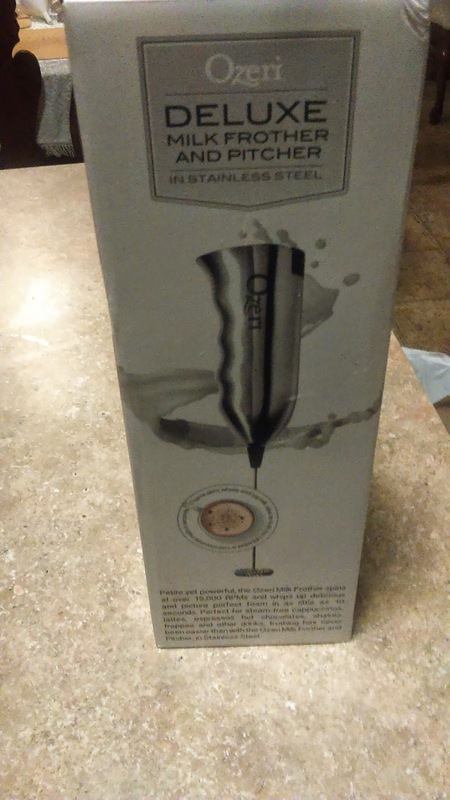 This Ozeri Milk Frother is available for purchase on Amazon.